I gave this as a gift to my mother and she loves it! She loves wearing it and telling others about the unique flower. She loves the simplicity of the design. It's a beautiful piece of jewelry. I have given 4 of these blessing flower necklaces as retirement gifts to teachers at a private school. Each time the reaction has been the same- amazement and awe! My husband knew how much I loved it and bought one for me too. Truly a unique gift. When I saw this & the sentiment behind it, I knew I had to get it for my Mom. It's so unique. Mom loved it & I ended up getting one for myself. I bought this as a Christmas present for my grandma. I really liked it and thought it was very unique! The fact alone that it’s a real flower and it can bloom then re-bloom again is amazing! 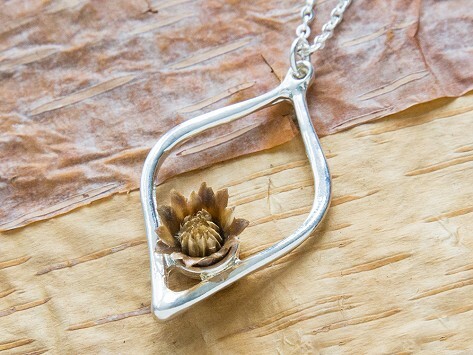 My grandma LOVED this necklace and when I shared this little desert flowers story she loved it even more. I have never heard of The Grommet before but I am so happy I happens to stumble on it. There are many many unique gifts on this site! Flower opened up just as described! Made a great gift! This was a special gift to my daughter as her husband had passed away a year ago at a young age. I thought this would be something special to remember him by for years to come. I had gotten one of these for my wife as a Christmas gift earlier and she cherishes hers for private times and thoughts. It's one of the greatest gifts anyone could give or receive for many occasions. Enjoy. I bought the Balance necklace for a friend who was about to start chemo and radiation. 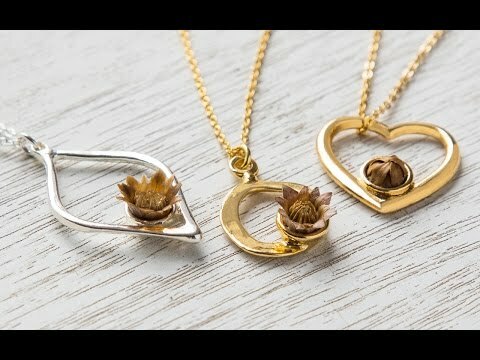 The necklace is beautiful and the flower was a wonderful surprise for her. The flower opened just like it was supposed to and was in perfect condition. I will be buying more. This necklace does exactly what they said it would do; however, it did it slower than I thought it would. I love it and get a lot of comments on it. We gave this to our daughter for her birthday, and she said it was absolutely unique. We just have to stop her 5,3 & 1 year old children from getting the water squirter to open up the flower. One of my best buys on the Grommet!